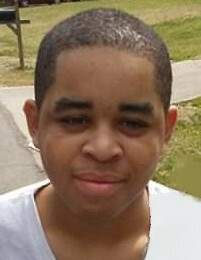 Mr. Tyrese Jerome Dunlap, age 20, of 103 Meadow Run, Knightdale, departed this life on February 8, 2019. Funeral, 1 PM, Saturday, February 16, 2019, New Bethel Christian Church, 4307 Old Poole Road, Raleigh. The Rev. Tracy J. Bell, Pastor. The Rev. Barbara Davis, Officiating. Visitation, 12:30 - 1 PM, prior to the service. Survivors; mother, Nyree Monique Smith of Raleigh; father, Eric Dunlap of Lindenhurst, NY; sisters, Maliaka Figgs and Shantia Smith both of Raleigh; brother, Elijah Dunlap of Raleigh; maternal grandparents, Cecilia Smith of NY, NY, Sulton Pearsoll of Knightdale and Van Johnson (Betty) of Augusta, GA; paternal grandparents, Barbara Dunlap (the late Eddie Dunlap) of NY and a host of other relatives and friends.